When I first started attending births, I had no idea how vital it would be to connect with the rest of my clients birth team, and to be quite frank-get on their "good side". As a birth photographer my job is to creatively capture my clients baby's birthday and in order to do so, I need to be able to communicate effectively with the other members of my clients birth team (this could mean midwife, doula, nurser, doctor, hospital staff, birthing assistant etc). In order to show my appreciation for those birth team members, I started putting together a little treat to take along with me to births. Originally I wanted to bring freshly baked cookies, but I quickly realized thats not really conducive to being on-call and ready at the drop of a hat! 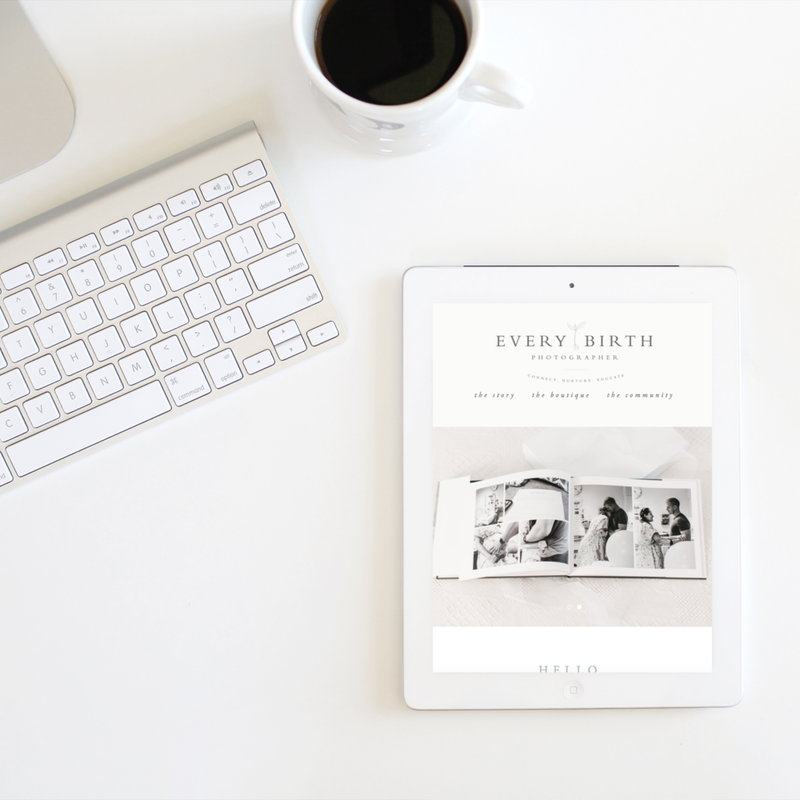 These treats needed to be easier than that and need to serve as a way for me to introduce myself when I arrive, establish myself as another birth professional, as well pass my name along for any of their friends or other clients looking for a birth photographer! Many of these birth team members will likely be there long before you arrive and so any extra time you take to be mindful of them and their hard work is always appreciated! When I was thinking of what to put in these goodie bags-I knew I wanted it to be simple, something that kept well (so I could make a bunch at once and have them in my office ready to go when I leave for a birth) and something that most people would like. Chances are if you work in the birth world you like some kind of caffeine, so a Starbucks gift card made the cut, along with some of my favorite chocolates that just so happened to match my brand(consistency is key)! I grabbed clear treat bags from Michael's, put the gift card, chocolates and threw in a business card. I sealed the bags with white or gold ribbon and so far-they have been a hit! What is your secret weapon for your birth team? How do you say thank you to those who you work with?